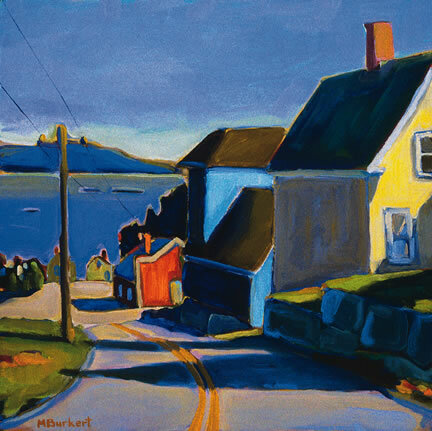 I paint in Maine, and the landscape and architecture that surrounds me continue to be my favorite jumping off points. I push and pull color around these forms trying to find combinations that feel right. I am not restrained by local color or the hard/fast rules of perspective. The application of paint, the resonance of colors against each other, the muscularity of shapes and the temperature of light and dark are my guides.